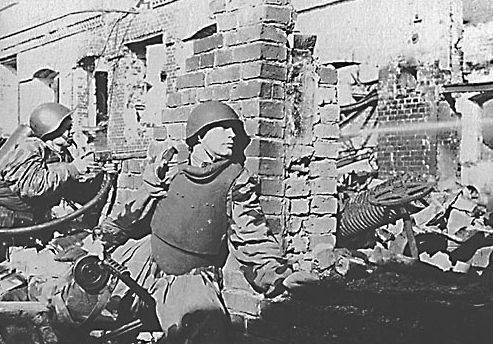 The armor defended the body against MP-40 bullets from 100 m.
Size and armament of Soviet assault group were changing accordingly a mission assigned. 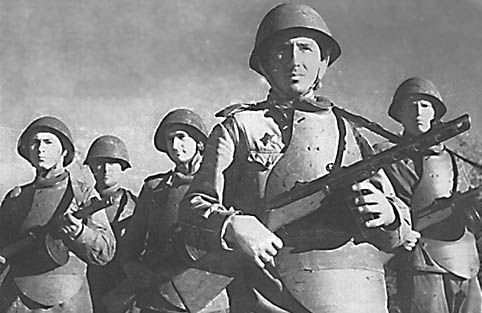 Weapon includes: submachineguns, flamethrouwer, antipersonel hand grenades, Molotov cocktail bottles, light machinegun, antitank rifle (in the role of a powerfull sniper rifle). They also were worn in camouflage. 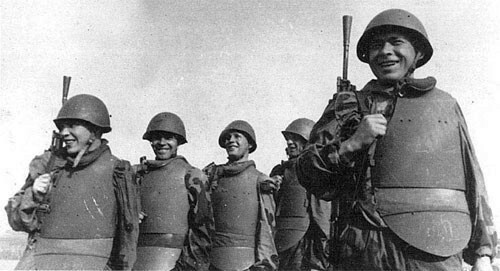 WWII photo of Red army panzer-soldiers.